It’s almost Thanksgiving, time to feast and indulge together with friends and family. This year is our first year in Istanbul, and I am missing all the pumpkin pies, spiced treats and getting ready for the holidays. Instead of celebrating Thanksgiving on the day itself, we decided to invite some of our new friends around over the weekend for some food and drinks. So tonight, I am slowly getting ready and preparing a delicious cake. 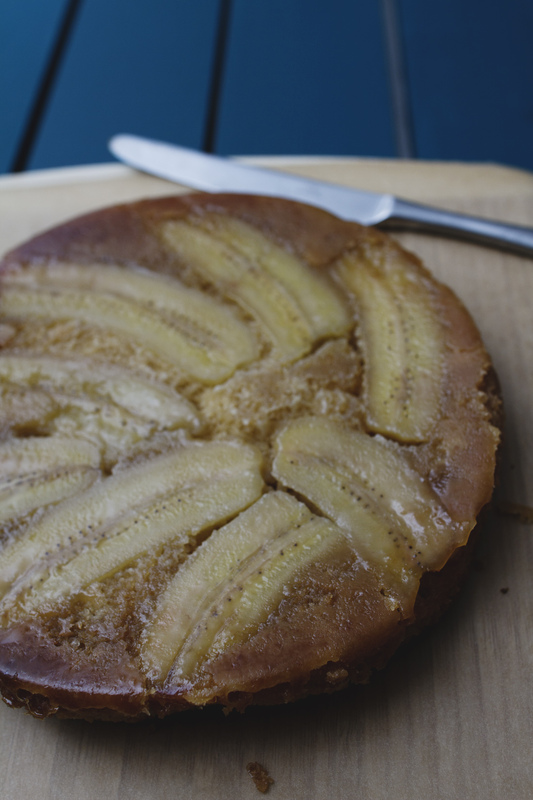 Banana upside down cake, a modified version from Donna Hay! I am using a version that has a bit less sugar. 2. Melt the brown sugar and butter together on the stove and boil for 1 minute. Pour it into the baking dish. 3. 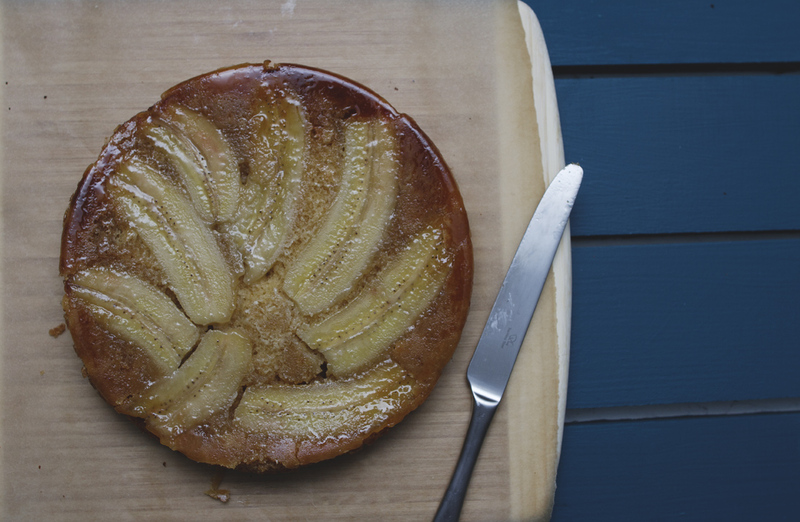 Cut bananas lengthwise and arrange face down on top of the caramel sauce in the baking dish. 4. 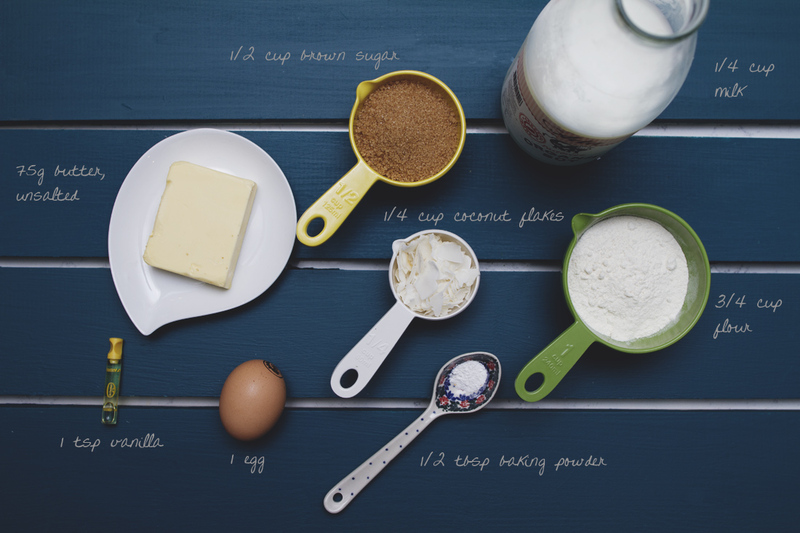 Mix butter and sugar until light and a bit fluffy, then add vanilla and egg and mix again. Add flour and baking powder and combine. Then add coconut flakes and milk. 5. 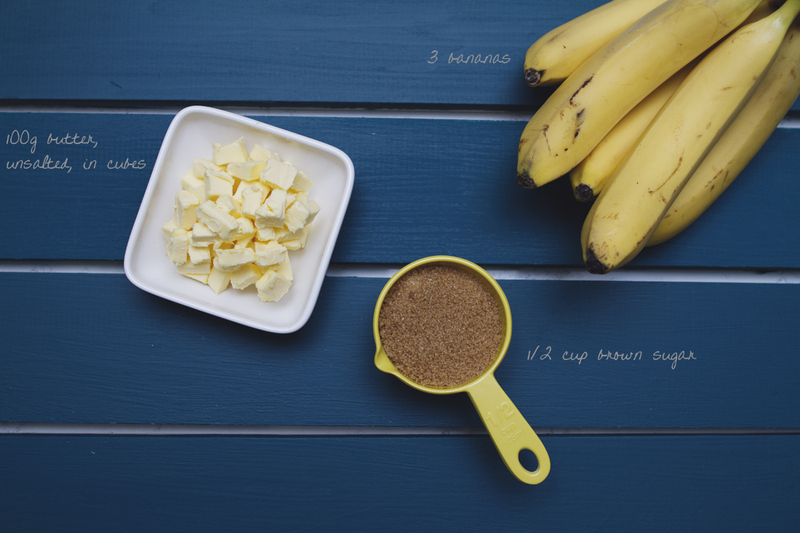 Spoon mixture over bananas and smooth the top evenly. 6. Bake in the oven for 30-35 minutes until a tester comes out clean. 7. Loosen sides with a knife and invert carefully on a serving dish. Posted in Baked goodnessTagged autumn food ideas, autumn food recipes, baked goodness, baked goods, baking inspiration, baking queen, banana cake, banana recipes, cake, cake recipe, cake recipes, cakes, different cake recipes, domestic goddess, donna hay recipe, I love baking, I love cakes, step by step recipe, unusual cake, upside down cake, what to cookBookmark the permalink.